The five-minute interview with comedian Zack Galifianakis appeared on the Funny or Die website Thursday. 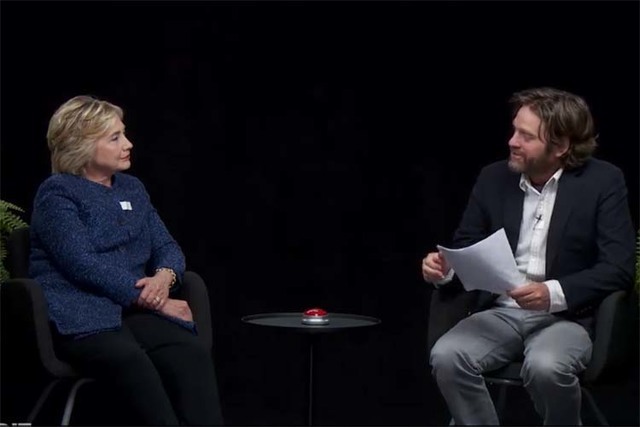 Among Galifianakis’ questions was whether she ever watched Donald Trump and thought “I should be more racist.” Clinton just shook her head, smiling. President Barack Obama appeared on “Between Two Ferns” in 2014 as he was trying to encourage young people to sign up for the Affordable Care Act.